There’s no use in denying it: We’re in the day and age where most living spaces revolve around the entertainment center. Holding the television, books and key household accessories, it’s a hub of activity for many households. 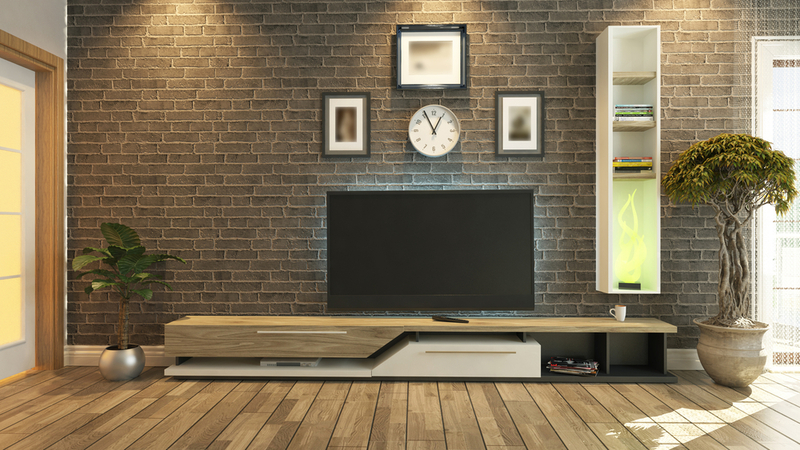 Let’s take a look at six elements to consider for your entertainment center to maximize style and space. The television console is the centerpiece of the living room, so make it eye-catching and functional. Keep in mind that proportion is key. 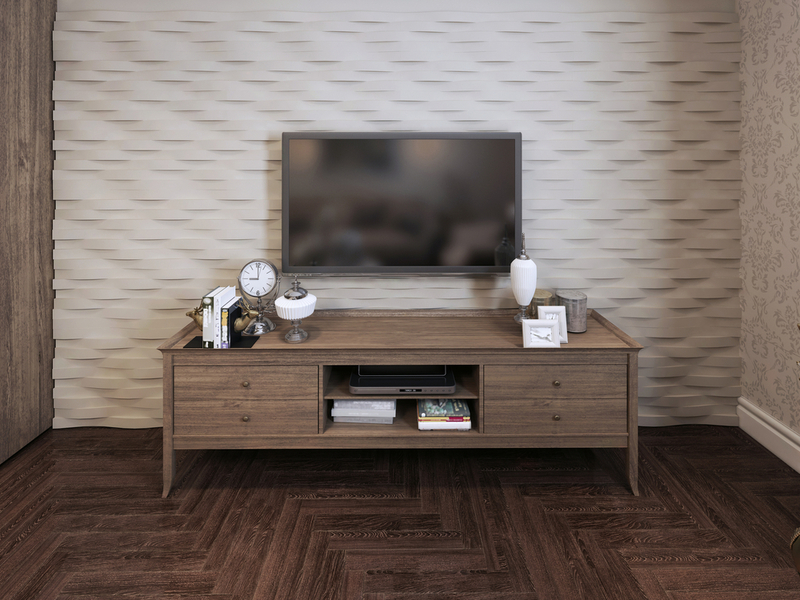 For large family rooms, you’ll want a full media system or a long console that houses everything in one place—a small TV stand would just be lost in the space. For cozier living areas, utilize a credenza or compact media console that allows for stowaway entertainment storage. 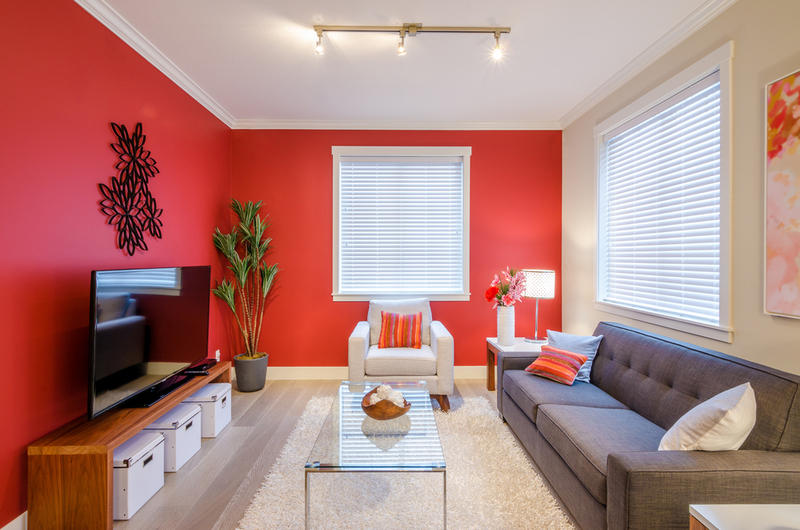 Stay away from large wall systems that engulf the entire room. While the television is the focal point, adding different elements to an entertainment center incorporates depth and visual interest. Books aren’t just for reading—they’re great additions for a pop of color and texture. Arrange your books in blocks or gradients of color for a stylish display. Try wrapping books in fun wallpaper or arranging them in varying stacks for something fun. Check out your local flea market or thrift store and pick up some old books for a rustic touch. For organization and easy access, storage is key for any media display. Make use of entertainment consoles that come with built-in drawers or cabinets to add some additional storage to your living room. 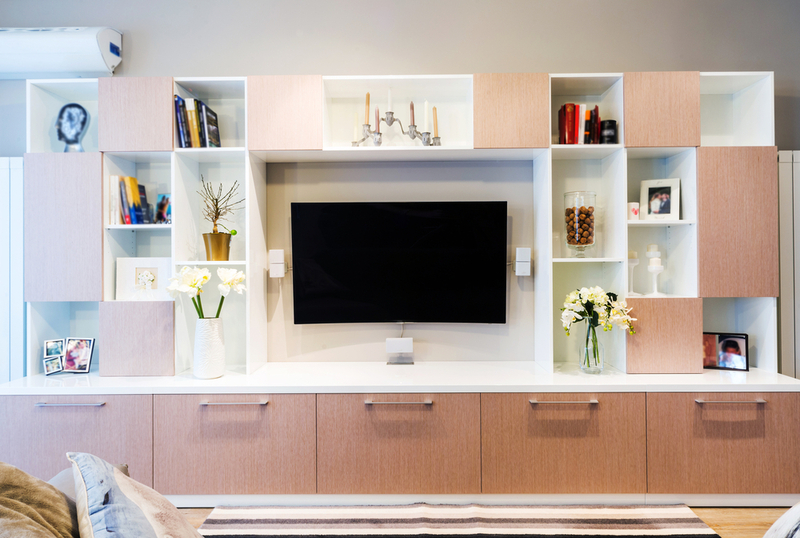 For larger wall units with open shelving, metal or wicker baskets are easy additions perfect for housing remotes and cables. Keep your sanity intact as well with cable organizers and mounted power strips. Balance out the technical equipment with a few pieces of your favorite art pieces. Adding a gallery wall, shelving or a few large prints can help camouflage the giant black screen on the wall. Mounted shelving adds additional storage over consoles and stands. Don’t forget a few lovely picture frames for an added personal touch. DVD players, speakers, video game consoles, satellite receivers–it’s amazing how many black boxes accompany a television nowadays. Drawers, cabinets and baskets are great places to stash a collection of DVDs or game controllers. Using a garage sale find or antique piece? Make sure there’s sufficient ventilation like a hole or vent in the back to air out hot receivers. Adding a personal touch with meaningful accessories will ground the presence of large TV screens and stacks of receivers. 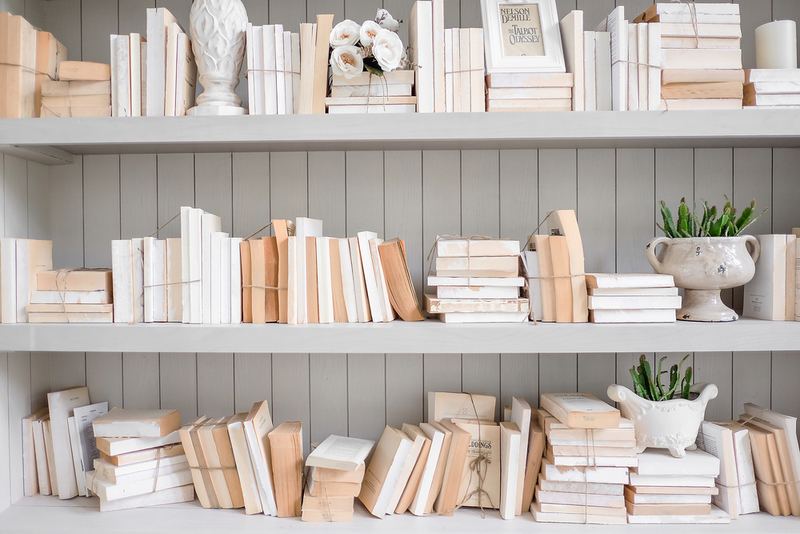 Travel mementos and antiques pair beautifully with candles, stacks of books or a potted plant. Media cabinets are also ideal places for an additional table lamp to add more ambient lighting. 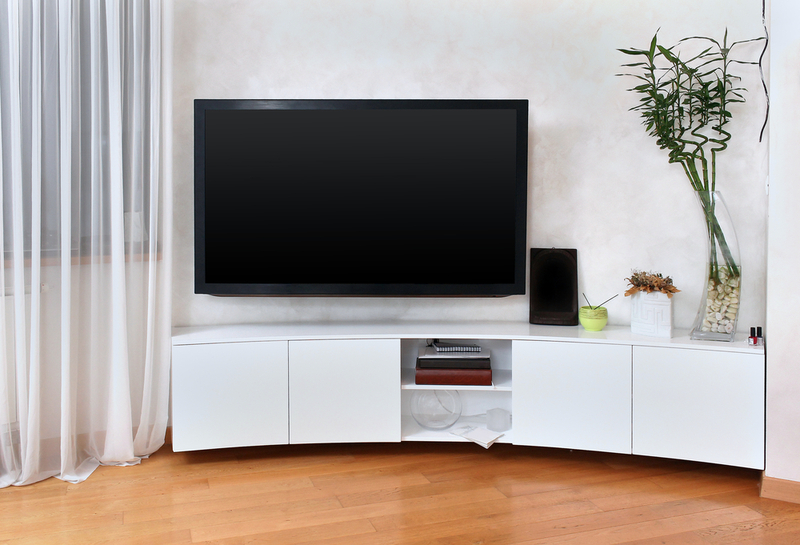 What design secrets do you recommend for dressing up an entertainment center? Founder of Kerrie Kelly Design Lab, Kerrie Kelly is an interior designer who creates beautiful living spaces that reflect her clients’ personal tastes and lifestyles. She provides great advice on how to solve design problems, including the entertainment center ideas that she discusses in the article. To see more ideas for entertainment center furniture options, visit The Home Depot. Sacramento interior designer Kerrie Kelly is an award-winning interior designer, multi-media consultant, and author of Home Décor: A Sunset Design Guide, published by Oxmoor House, and the newly released My Interior Design Kit, with Pearson Professional and Career Education. Kerrie founded Kerrie Kelly Design Lab in 1995.